Everybody loves robots, but the initial ardor for building one can quickly be snuffed out by the complex reality of actually programming it to do anything. That's where Linkbot comes in, a new project from the Barobo team that brought us the Mobot. It's designed as a modular system that can be expanded infinitely with accessories like a camera mount, gripper, and wheels, thanks to three separate mounting surfaces -- which also have standard #6-32 screw attachment holes on the mounting plate to attach personality-enhancing cutouts. Despite the expansion potential, though, it can still be used right out of the box to do robotics without touching a lick of code. That's thanks to several built-in modes like BumpConnect, which permits wireless connections between the modules by touching them together; and PoseTeach, to program complex motions by hand in a similar (but less time-consuming) manner to stop-motion animation techniques. For those who want to step it up a notch, the system lets you go far past basic mech fun. 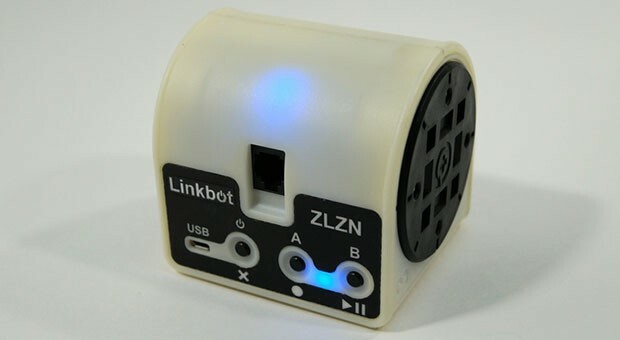 The Linkbot itself has two rotating hubs with absolute encoding, along with an accelerometer, buzzer, multicolored LCD and ZigBee wireless system with a 100m line-of-sight range. 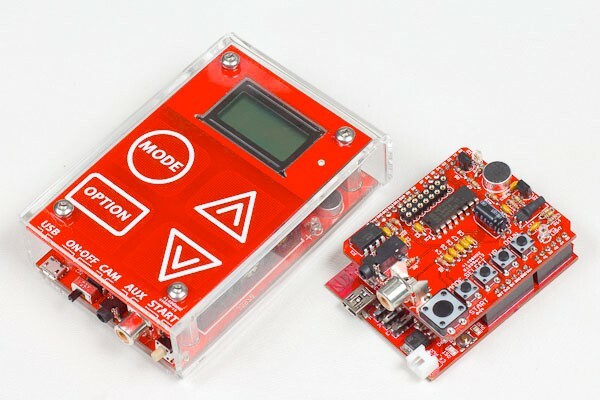 There are also optional breakout and Bluetooth boards to connect sensors like range finders, IR proximity sensors, photo detectors and thermostats. The outfit's BaroboLink software for Mac, PC or Linux is included to program the Arduino-compatible bot in several languages as well, and can even translate previously created PoseTeach motions into computer routines. So far, the company has created working prototypes and even shipped them to local schools, so if you're interested, you can pledge a minimum $129 toward the company's $40,000 target to grab one. That'll net you a Linkbot, two wheels, the BaroboLink software, access to the MyBarobo community -- and hopefully a jolt to your robotics confidence. Internet of things? That's so 2012. 2013? Well maybe, just maybe, it'll be all about the internet of places. Hexagonal Research founders Loren Lang and Ronald Bynoe are betting that the next big thing will be environmentally aware computers. The pair have created Observos which combines an ATMEL microcontroller (with integrated wireless) with a host of on-board sensors. 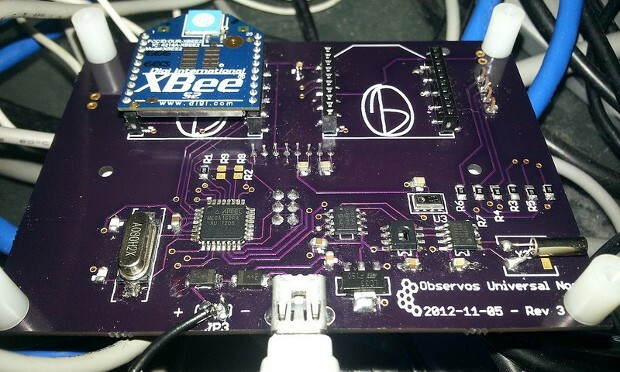 What began as a prototype built around a tower of Arduino shields is now a small first-run integrated board with spots for connecting XBee radio cards and a small LCD display. Right now the focus is on humidity, temperature and barometric pressure, though other environmental variables would be relatively trivial to tack on. While the Observos board is isn't quite ready for prime time, its already getting some serious field testing in a plant nursery and a potential partnership with the IEEE Humanitarian Technology Challenge could find the boards placed in health clinics in the Amazon. In addition to the small display, the board can be programmed to send text message or email alerts, and in the future could tie into venting or heating systems for completely automated control. There's even a rudimentary web interface for monitoring the various data coming in from the sensors. Check out the full list of Insert Coin: New Challengers semifinalists here -- and don't forget to pick a winner! It's been said that imitation is the sincerest form of flattery. Improving on a good idea, however, is truly the ultimate homage, according to the makers of the new Pinoccio microcontroller. Inspired by the Arduino, the brain trust behind the Pinoccio decided to take the stuff they liked about the popular platform -- ease of programming and low cost -- and add some features to make it even better. These include a rechargeable battery, a temperature sensor and a built-in radio that allows one Pinoccio with a WiFi shield to communicate wirelessly with other Pinoccios. The microcontroller also delivers performance that stacks up well with an Arduino Mega but at a smaller size -- the Pinoccio only measures a couple of inches long and an inch wide. The project is currently trying to raise $60,000 at Indiegogo, with supporters netting the standard Pinoccio by pledging $49 and a microcontroller with a WiFi shield for $99. For more details, feel free to check out the video after the break or peruse the project's Indiegogo page by clicking at the source link. Previous project update: The Lomography Smartphone Film Scanner was apparently ready for its closeup. 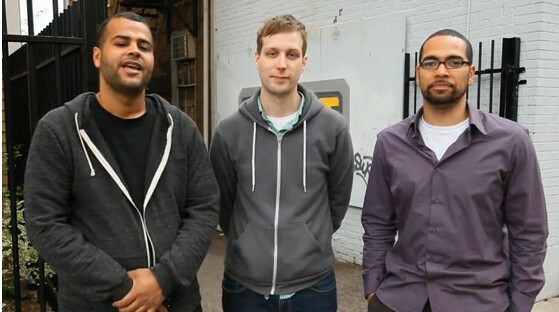 The Kickstarter project more than tripled its $50,000 goal with two more weeks to go. What does microcontroller programming have in common with Tetris? Quite a bit if you're doing it with Modkit Micro from a Kickstarter project out of Cambridge, MA., which allows almost anyone to visually set up their hardware using graphical blocks to write the code. The partially-hooded trio behind it promises that the software is ideal for use with protyping boards from Arduino, Evil Mad Science, Lilypad, Seeed Studio, Wiring and SparkFun, and they even claim that elementary school students have used it to "take their projects from concept to reality in just a few hours." Purists should have no fear either: you can still get into a code view to see what's going on behind the scenes. A web-based Modkit Micro is being offered online starting June 1st for $25, and there'll be a desktop variant for Windows, OSX, and Linux as early as July if they reach their funding target. 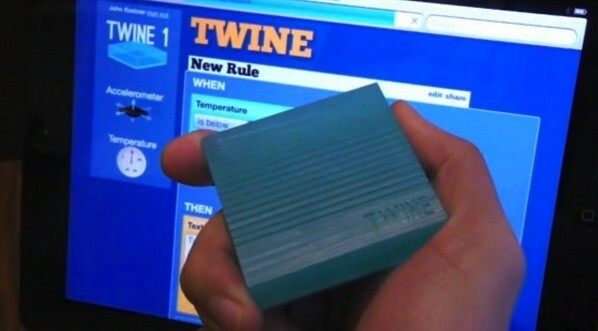 Check out the video after the break and then try to get your kids to wait for college before inventing version 2.0 of this. 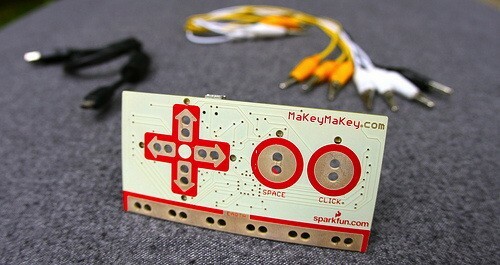 Insert Coin: Modkit Micro asks us if we're ready for six-year-olds coding Arduino boards originally appeared on Engadget on Tue, 29 May 2012 10:01:00 EST. Please see our terms for use of feeds. The idea of a lighted fretboard isn't a new one by any stretch (how do you think the Fretlight got its compound name? 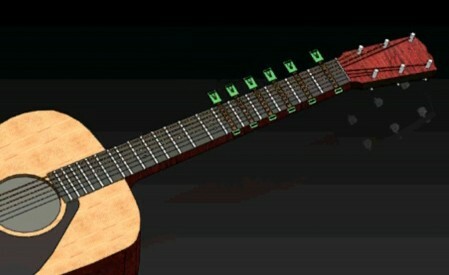 ), but there's something to be said for not having to buy a brand new guitar for that functionality. The folks behind Tabber are working to make that a reality, having tested a number of prototypes for a product that you can simply slip over the neck of your axe for a quick tutorial. The company is looking to create a slicker version of the concept that it can bring to the market. Tabber's creators need your help to "transform the guitar industry," so naturally they've taken to Kickstarter, with a little under a month to hit their $45,000 goal. The Arduino-powered LED guitar instructor will connect to a mobile device via Bluetooth, accessing information to let you play along with songs, figure out chords and bend your fingers around some scales. Click the source link to send some cash Tabber's way, or to find out a bit more about the project. Update: As a number of commenters have pointed out, there's a similar project currently awaiting your donations on Kickstarter. Great minds, huh? Insert Coin: Tabber lights up your fretboard, shows you the way to rock originally appeared on Engadget on Thu, 22 Mar 2012 11:00:00 EST. Please see our terms for use of feeds. Fallen out of love with sensor? Don't worry, Variable Technologies is here to help. The company's working to bring the world Node, a project aimed at helping smartphone users "explore the fun and power of sensors." 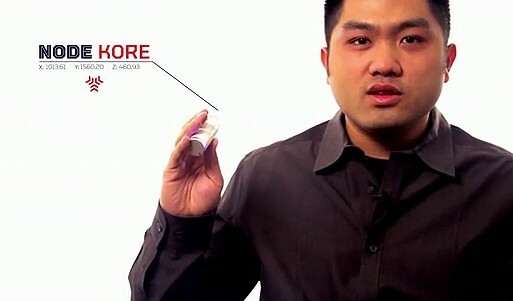 The "Swiss Army knife-sized" modular device communicates with the iPhone 4S and Android devices via Bluetooth. It has a built-in accelerometer, magnetometer and gyroscope and can detect physical motion and space, temperature and elevation, to name but a few. It also has a game control module and eight LEDs that can double as a camera flash, with carbon monoxide and radiation detection on the way. 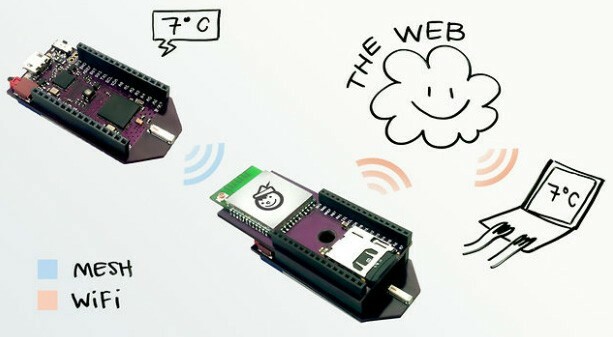 The Node will be compatible with Arduino devices and will have an open API, firmware and source code. There's a month left to help Variable hit its lofty $50,000 goal. Click the source link for more info. Insert Coin: Node helps your smartphone monitor pretty much everything originally appeared on Engadget on Thu, 23 Feb 2012 16:49:00 EST. Please see our terms for use of feeds. Want your camera to take a shot whenever the phone rings or someone loads your blog page? Triggertrap can arrange that for you. This Arduino-powered box has managed to cross the funding finish-line and will be bringing its multi-source automatic release to camera creatives early next year. 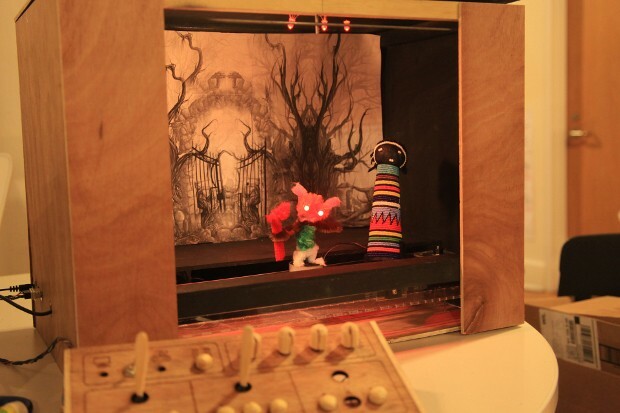 The former Insert Coin project can communicate with cameras through either a wired connection or its own IR transmitter. It can initiate shutter release from a multitude of sensors, with the built-in light, laser and sound sensors backed up by an auxiliary port, meaning it can be hooked up to anything capable of generating an electronic signal. With prototype testing complete, the Triggertrap looks set to ship in early February next year, with a special build-your-own version appearing soon after that. The ready-made options will set you back $125, while the customizable 'shield' version is pegged at $75. Interested? Well, hold on after the break for a full video tour of the cherry red hardware. Triggertrap automatic shutter release hits production, links your camera to most things originally appeared on Engadget on Tue, 06 Dec 2011 11:10:00 EST. Please see our terms for use of feeds.